Usually, there is no need to bypass iCloud activation lock because everyone knows their iCloud account details. However, if you have purchased a second-hand iPhone or don't know the account details, then bypassing the iCloud activation is the only viable solution. You may wonder where to find an iCloud unlock free online service, read this article before trying any of them. Part 1. Are iCloud Unlock Free Online Services Useful? Part 2. How to Remove Previous iCloud Account from iPhone without Password? Are iCloud Unlock Free Online Services Useful? No, they are scam. These iCloud unlock free online services will require you to download some file or software on your computer, which could contain virus/malware. Furthermore, they are usually unethical or illegal methods of iCloud unlocking which could result in permanent device blocking by your carrier. How to Remove Previous iCloud Account from iPhone without Password? If you have purchased a second-hand iPhone that contains the iCloud account of previous owner, you can use a third-party iCloud account removal tool to remove it. iMyFone LockWiper is a professional iCloud account removal tool you can rely on for this purpose. Not only does this tool allow you to conveniently remove previous iCloud account from an activated iPhone without password, it is also capable of bypassing any kind of iPhone screen lock. There are several useful features of this software. Bypass/remove iCloud account from activated iPhone, without requiring you to provide any password. Once you have removed Apple ID or iCloud account from the device, your iDevice cannot be tracked by the previous owner. You can use a new Apple ID in your iDevice after the removal of previous ID without any issues. User-friendly software interface. Complete the iCloud account removal process within just three steps. Note: iMyFone LockWiper can not remove iCloud Activation Lock, it just remove iCloud account from an activated iPhone/iPad. Step 1. Launch LockWiper on your computer. Connect your iPhone to your PC via a compatible USB or lightning cable. Step 2. Click on the Unlock Apple ID mode. Step 3. Next, click on Start to Unlock button. iMyFone LockWiper will start the unlocking process. Now all you need to do is wait. Once the process is completed, the previous iCloud account from your iPhone will be removed. Price: Varies depending on the device model. Starts from $28. Time Required: iCloud is unlocked within 1-3 days. iPhoneIMEI.net is a popular iCloud unlocking service that you can use to conveniently bypass iCloud activation lock from your iPhone. The service supports all new and old models of iPhones and the process of iCloud unlocking is easy as well. Visit iphoneimei.net on your favorite web browser. Next, select your iPhone model. Then input your device's IMEI and click the Unlock Now button. You'll be directed to the payment page, choose one of the payment and order it. After the above-mentioned steps, you will receive a confirmation email (on your provided email address) and will be required to provide payment details. Price: Varies depending on the device model. Starts from $27. Time Required: iCloud is unlocked within 72 hours. Cellunlocker.co.uk is another popular iCloud unlocking online service. Similar to iPhoneIMEI.net, you can use this service to unlock iCloud on any iPhone model, regardless of whether it is an older model or the latest one. The process is straightforward and the pricing is also reasonable. Visit cellunlocker.co.uk on your favorite web browser. On the next screen, select your iPhone model and then input your iPhone's IMEI. Now click on 'Unlock now' button, then pay for it. 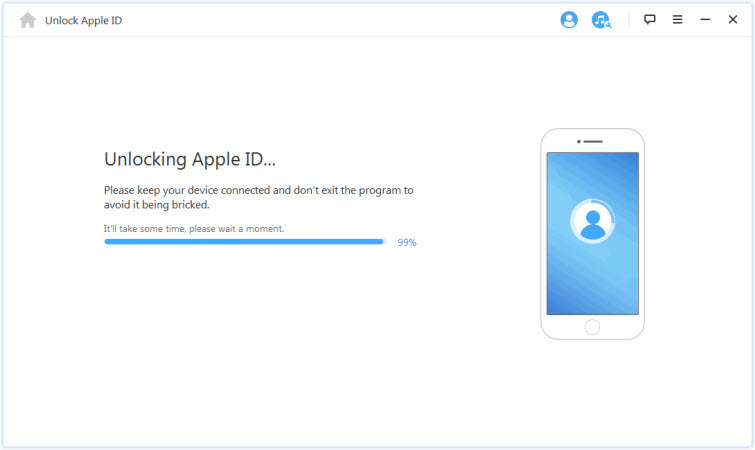 After completing the above steps, you will need to wait for the confirmation email from cellunlocker.co.uk team. Once you have received the email (on the email address you provided), you will need to provide payment details. iCloud activation lock will be unlocked within the next three days. iCloud Activation Lock can be challenging to deal with if you don't know the iCloud account details required to unlock it. Fortunately, there are iCloud unlocking online services that can help you in this regard. Don't rely on the free services though as they are usually scam. If you want to remove previous owner's iCloud account from an activated iPhone, then it is recommended that you use iMyFone LockWiper as it is highly convenient and efficient when it comes to iCloud account removal.